This workshop focuses on the craft of writing song lyrics, including some common song structures and answers to the eternal question: “What rhymes with that?” At the end of the day, special guest singer/songwriters will perform some of our girls’ lyrics! *Only open for WriteGirl Members. WriteGirl Members will receive invitations for the events 10-days prior to workshops and events. Our first workshop of Season 14! WriteGirls will dive into writing techniques for reporting and writing for tv, online, and print publications. We’ll have special guests, group discussions, and investigative writing experiments that will challenge and inspire! This is a chance for all returning and new volunteers to mix and mingle. There will be small group discussions and workshops on everything from working with teen girls to overcoming writers’ block. The end of the day features a panel discussion with notable writing agents, managers and editors. New volunteers will learn more about who we are and what we do at this full-day training session. WriteGirl volunteers and mentors only. Kick Off event for our 14th Season - We’ll be welcoming our new and returning girls to Season 14 with inspiring writing experiments and getting-to-know-you activities! A helpful and informative session for all senior girls! We’ll address questions about the college application process, how to find the right college for you, and how to find funding to make college more affordable. Experience original scenes and monologues written by teen girls earlier on the same day brought to life on stage by celebrated actors such as Troian Bellisario (Pretty Little Liars), Wilson Bethel (Hart of Dixie), Alison Becker (Parks and Recreation), Keiko Agena (Gilmore Girls), Aasha Davis (Friday Night Lights), Mike Rock (Chelsea Lately), Sprague Grayden (24), Trevor St. John (Bourne Ultimatum) and more. Public Events are open for all. A beautiful bookstore in Los Feliz has become a part of WriteGirl tradition. 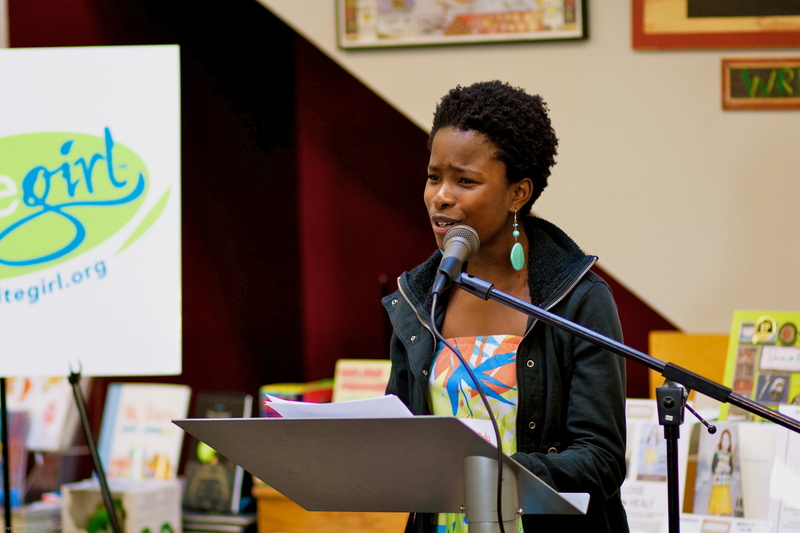 Come sit under the Skylight Books tree and enjoy some poetry and prose written and read by our WriteGirl teens. 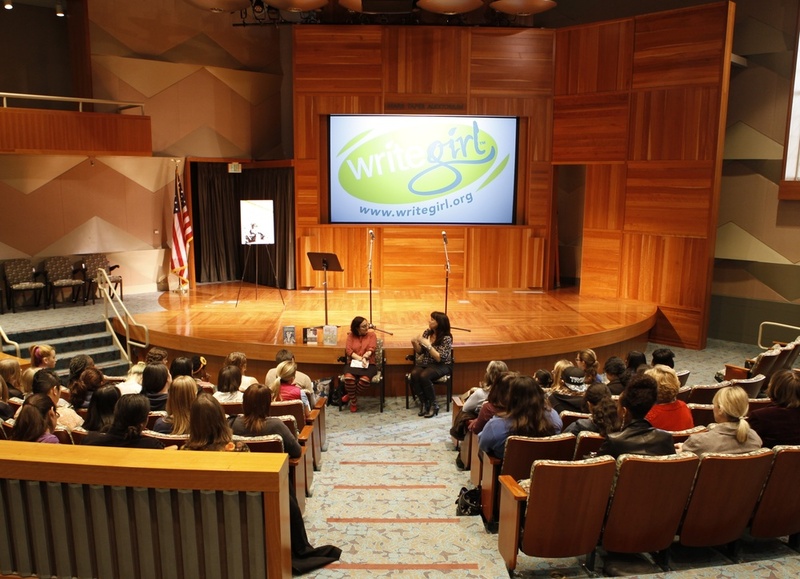 WriteGirl, an innovative creative writing and mentoring organization for teen girls in Los Angeles, is proud to announce the release of its 12th anthology, showcasing the bold voices and imaginative insights of WriteGirl teens and their mentors. Authors from the book will take to the stage to share excerpts with friends, family and supporters. January is National Mentoring Month! Join us in celebrating WriteGirl, honored by First Lady Michelle Obama with the National Arts and Humanities Youth Program Award, the highest national honor awarded to exemplary after-school and out-of-school time programs from across the country. For more information, call 213-253-2655 or visit www.writegirl.org. Admission is free. Light reception to follow. Donations gratefully accepted. WRITEGIRL TEENS: Come early for a special writing workshop at 2pm! Come create music at the Democracy Forum.